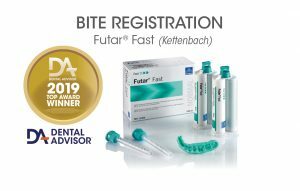 Futar Fast is an elastomeric, addition silicone, bite registration material with a working time of 15 seconds and an intraoral setting time of 45 seconds. Futar Fast is dispensed from a standard automix gun. 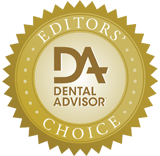 Due to the shorter working time, Futar Fast is indicated for “small application” myofunctional bite registrations and applications requiring a hard bite registration. This material can be trimmed with a scalpel or a bur. Excess Futar Fast material can be easily broken off allowing the correct occlusal position to be checked intraorally promoting precise alignment of upper and lower models. Each box contains two 50 mL cartridges with 12 mixing tips. Futar Fast was evaluated by 30 consultants in 514 uses. This bite registration material received a 96% clinical rating. Futar Fast from Kettenbach sets in a short time for a quick, accurate bite registration. The material is easy to extrude and is dispensed from a standard round mixing tip. The short time in the mouth reduces the chance of movement and is more comfortable for the patient. Futar Fast is stiff when set without being brittle, and it trims easily with a scalpel blade or rotary instrument. Laboratory consultants also found it trimmed nicely without breaking. Models could be set together accurately, as Futar Fast does not exhibit any “spring” or rebound. 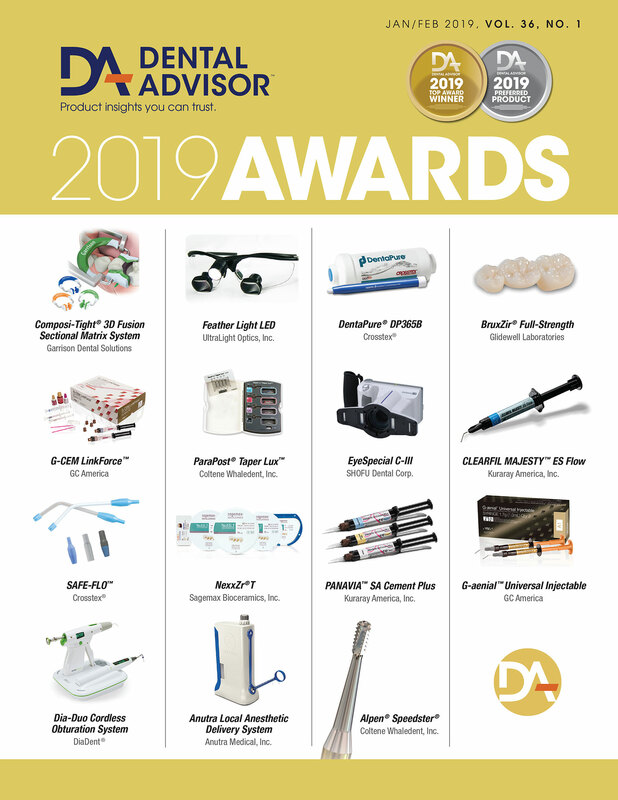 Fifty-seven percent of consultants found Futar Fast to be better than other bite registration materials they have used, and 37% found it to be equivalent. Seventy-seven percent of consultants would switch to Futar Fast, and 93% would recommend it. Dry the teeth before placement.